A group for fans of science-fiction literature. Books, graphic novels, even movies and videogames! Let's talk about the ideas, story-lines and tropes, about authors and their writing, about how we imagine tomorrow will be. You need to be a member of Tales from tomorrow to add comments! 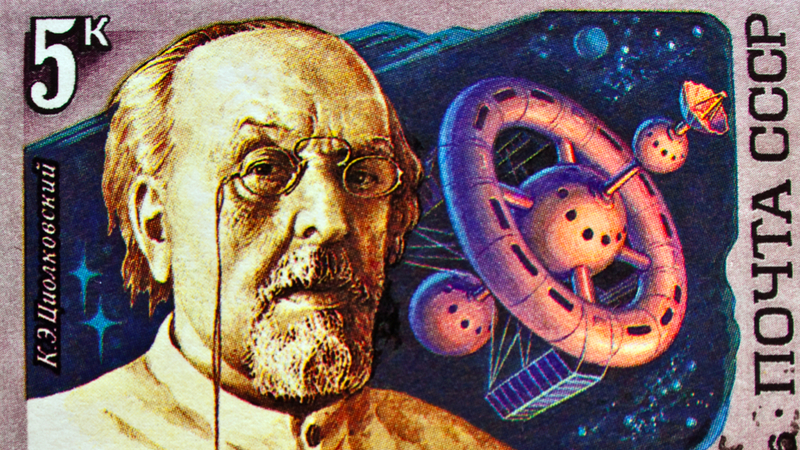 Did the very first science fiction magazine appear in Russia in 1894? We tend to think science fiction magazines started when Hugo Gernsback introduced the concept of "scientificion." But for the quarter-century leading up to the Russian Revolution, the Russians were massive consumers of "scientific fantasy," and they had a popular magazine called Nature and People, full of science-fictional speculations. Cornell University Professor Anindita Banerjee uncovers the secret history of early Russian science fiction, and how SF tied in with Russians' obsessions with modernity, in her new book We Modern People: Science Fiction and the Making of... We're lucky enough to feature this exclusive excerpt, dealing with the founding of Nature and People and early writers such as Konstantin Tsiolkovsky and Yevgeny Zamyatin. Science and technology are defining modern reality by transforming not just everyday life, but the very ways in which we think and imagine. A new kind of writing callednauchnaiafantastika, scientific fantasy, is playing a not inconsequential role in this process. Is it not in the imagination where bold theories and amazing machines are first born? Along with news of the latest scientific and technological developments, therefore, our magazine will continue to present a rich panorama of meditations on their potentials that will seem anything but fantastic to those of our times. Opening the fifth-anniversary issue of Nature and People (Priroda i liudi) in 1894, this editorial note redefines the narrative parameters of a pioneering popular science journal in Russia. Three decades later in 1923, Yevgeny Zamyatin — author of the landmark dystopian novel We(My), which George Orwell acknowledged as an inspiration for 1984 — designated nauchnaiafantastika, or scientific fantasy, "the kind of literature that best commands the attention and wins the belief of us modern people." Consequently, he proposed it as the foundational template for a "New Russian Prose" of the twentieth century. Applying a formidable mix of history, science and common experience, Gore has produced a luminously intelligent analysis that is packed with arresting ideas and facts. The peaking of global conventional oilproduction that occurred some 30 or more years ago, the risks to fresh water supplies posed by fracking, the rapid ongoing evolution of cyber-warfare, the dangers and potential benefits of biotechnology and the possibility of genetic engineering of human brains are only a few of the facts, likely developments and possibilities that the former American vice-president explores. Summarising this rich and ambitious book in any detail is impossible. You simply have no alternative to reading it. Some themes stand out as being especially salient. Unlike those – pious bien-pensants as much as religious bigots – who fume and splutter whenever the subject of population is mentioned, Gore recognises the increase of human numbers as one of the world's largest challenges. "During the last century alone, we quadrupled the human population. By way of perspective, it took 200,000 years for our species to reach the one billion mark, yet we have added that many people in just the first thirteen years of this century." With unchecked population growth and worldwide industrialisation, humankind has embarked on "an unplanned experiment with the planet". Despite the incessant machinations of climate deniers, there is no scientific basis for doubt as to the reality of anthropogenic climate change. Some who accept the evidence suggest that rather than attempting to halt the activities that result in global warming we should adapt to the process as it goes along; but in Gore's view, muddling through is not an option.